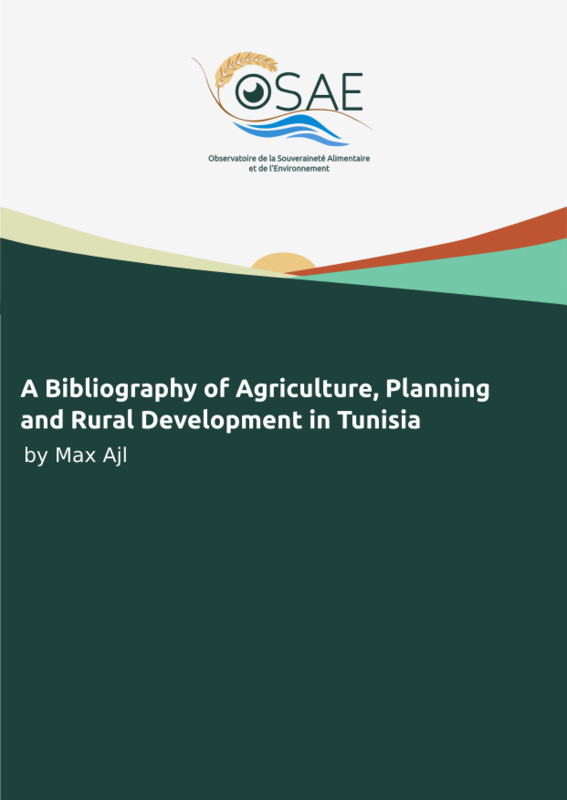 The bibliography encompasses the bulk of the work which has been done on Tunisian colonial-capitalism in the rural sector, colonial developmentalism and under-development, the national liberation movement, post-colonial rural planning, agronomic research, and rural political ecology. Partially under the French colonization and far more under the developmentalist post-colonial government, the rural-agricultural sectors were major arenas of interest. Both for reasons of social containment under colonialism and developmental modernization under the post-colonial Neo-Destour, Socialist Destourian Party, and the RCD, state institutions were deeply interested in what was going on in the rural sector. Sometimes this was so they could head off unrest. Sometimes they were interested to maximize raw physical production. Sometimes they were interested because they wished to maximize profits for private producers. And sometimes they wished to make the rural sector legible to make living conditions better there for the rural poor. 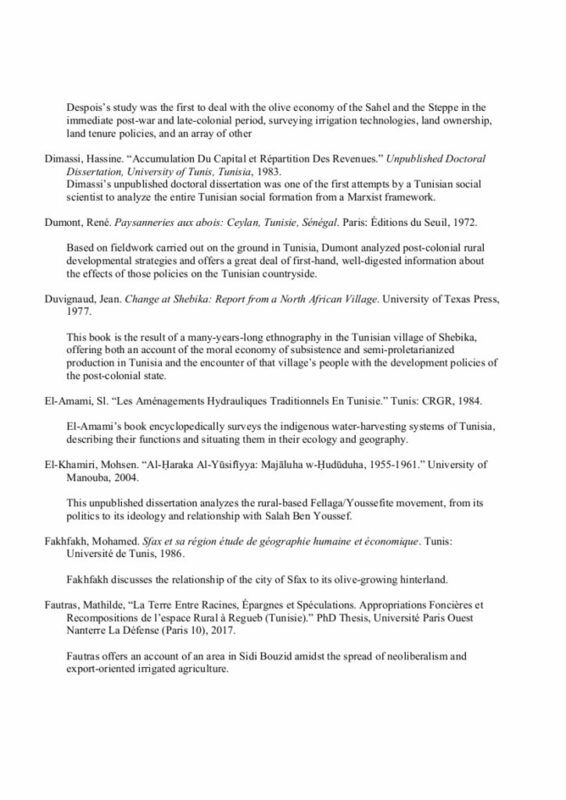 All these various perspectives produced a plethora of research on the Tunisian rural world. Tunisian domestic government and para-statal research and research from international institutions dominated intellectual production through the early 1980s. 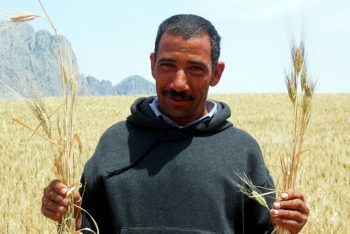 At the same time, both the Tunisian university systems and Tunisian academics studying in the French academy produced ever-growing monographs concerning all aspects of the Tunisian rural world. Such research often sought simply to provide a map of the Tunisian countryside sufficiently detailed to guide developmental interventions. Later, especially in the late 1970s, 1980s, and 1990s, research moved towards criticism of the state-planning models. 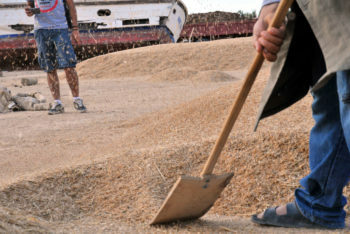 In the 1990s and the 2000s, it moved to both much more formal modelling, increasing criticism of the withdrawal of state support for the rural sector, and critical analyses of the state small-scale rural development strategies. This bibliography is not intended to be exhaustive. 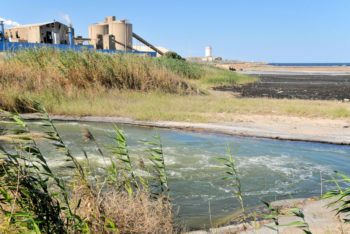 It does not include much of the “grey material” from the international institutions, nor does it include most of the government documents concerning agriculture and the environment. Finally, in an attempt to keep its length manageable, it excludes newspaper articles. The annotated selections from the longer bibliography below were selected using two criteria. The first was length. Because the number of high quality journal articles vastly exceeds the number of high-quality books and dissertations, it was useful at a first pass to cut down the quantity of texts to be annotated using the criteria of length. The second criteria was quality. 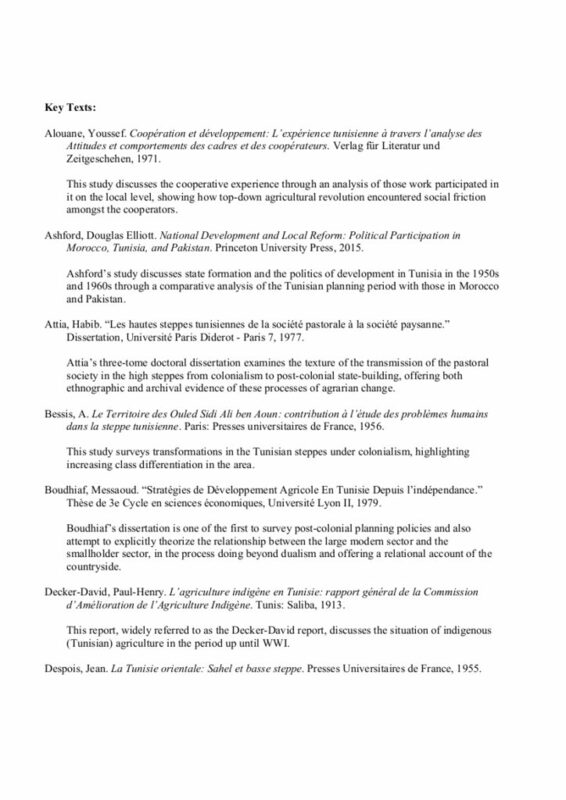 The texts below are many of the foundational texts for understanding Tunisian colonial-capitalism, post-colonial planning, and rural political ecology. Additional significant articles are noted with a * in the bibliography itself. * Max Ajl is sociologist, activist and an editor at Jadaliyya and Viewpoint.